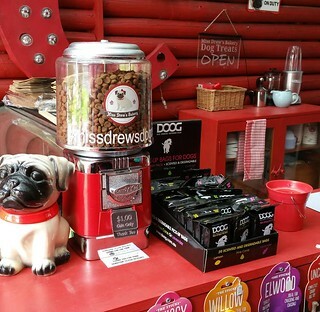 Miss Drew's Dog Cafe is a retro inspired kiosk style cafe in Tyabb located out the back of the Tyabb Packing House Antiques complex. 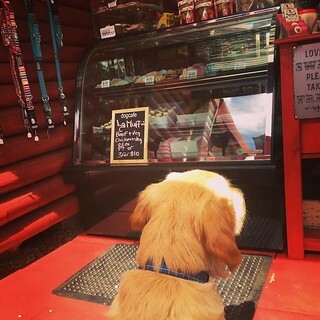 The cafe caters for dogs only but for the humans they can purchase great food and drinks from the Red Rattler Train cafe just opposite us. A great little grassed area to enjoy lunch with your pooch, Miss Drew's Cafe is set within a relaxing village vibe with a group of unique little shops. Come and enjoy the day with your pooch. Please Note: This is a leashed only area as cars do enter the village as well as general shoppers. Please always respect the area by picking up your dogs waste and be in control of your dogs behavior at all times. We welcome all breeds of dogs big and small. Having a special pawty for your best fur-child? 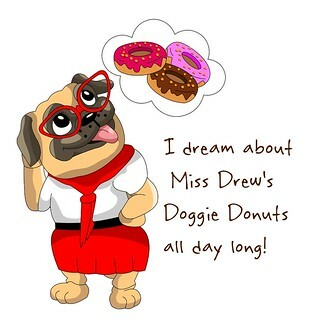 Miss Drew would love to help create special pawty treats for you. Prices will vary depending on amount required, icing type and decorations. You can use the contact us to get a quote.